Lens flares and large banyan tree growing out of an ancient wall of Ta Prohm wat in Angkor Wat archeological park in Siem Reap, Cambodia. 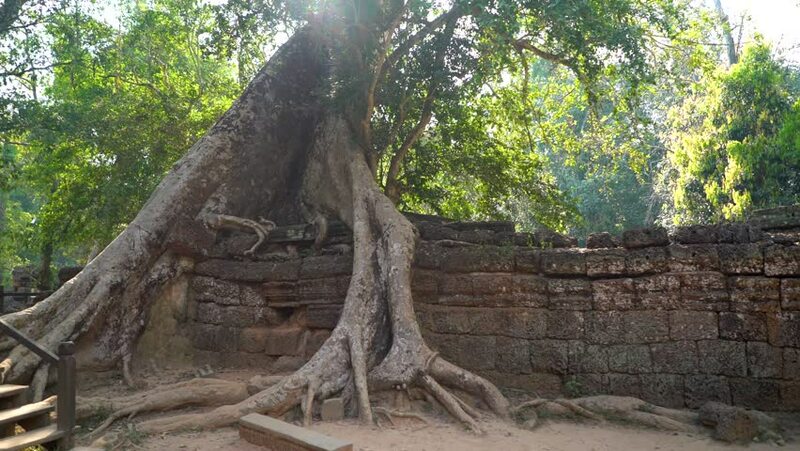 4k00:10Tangle of banyan trees in the jungle at Ta Prohm wat ruins at Angkor Wat, Siem Reap, Cambodia. hd00:20Clip 5 of 5: A large Yellow Rat Snake climbs an oak tree vertically. Video captured in Northeast Florida. Stable-wide shot showing the body of the snake work its way up the tree trunk.